Reading Transport Fleet List: 1101 has now been converted to diesel, returning to service by 29th without it's bio-ethanol branding. Thanks to Brian Coney for this. Reading Transport Optare Vectas: Former 810/12-14 have passed to Stagecoach South Wales following their acquisition of Islwyn Borough transport earlier this month. First Berkshire Fleet List: 41133, 41267 and 60754 were all moved from Bracknell to Hayes for storage on 18th. Thanks to Mat Wooll for this. Withdrawn 20366/9 were transferred to First Scotland East in December. 64791-4/8 are now officially regarded as part of the First London fleet as maintenance is now done in Dagenham, but they remain in use in both London and Berkshire. 64796 was sold to North West Coaches sales in November. Thanks to Brian Coney for this. Stagecoach in Warwickshire Fleet List: 52020 and 52031 are thought to have left the fleet in around April 2009. 52020 surfaced with	GHA, Ruabon in November. Thanks to John Page for this. 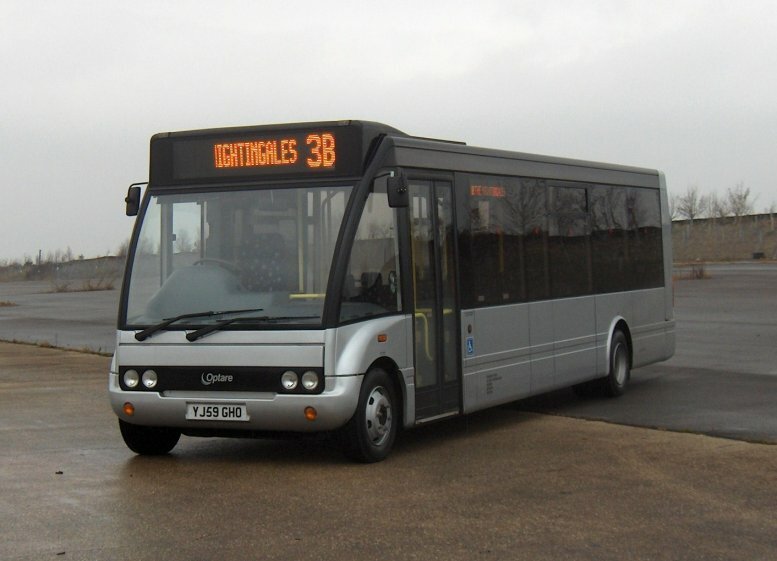 Weavaway Travel: New photo of Optare Solo YJ59 GHO added. Thanks to Derek Bradfield for this. Weavaway Travel Fleet List: The first of three new Optare Solo M950 Slimlines arrived today registered YN59 GHO. The other two YN59 GHN/U are expected on 27th. Thanks to Derek Bradfield for this. News Page: January Service Changes in full Swing with photos of 111, 124, 838, 847 and 854. Reading Transport Fleet List: 850-854 have received Woodley logos in place of routes 63/64, although at least 850/2 lack logos on the front. All other route branding remains in place. 848 (and probably 849) have lost their route 63/64 blobs to plain orange, but still with route lettering. Presumably these are the two that will shortly be repainted into routes 4/5/6 dark green. Reading Transport Former Vehicles Fleet List: 471/2/4/5/6 are all thought to be on extended loan to the Green Transport Company, but are not expected to return to Reading at any point so will not be shown on the list of current Reading vehicles. 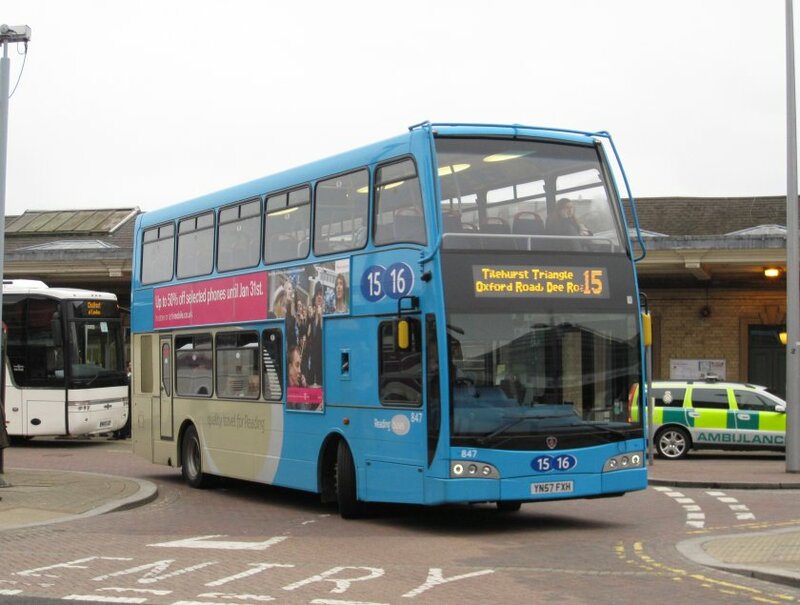 Reading Transport East Lancs Olympuses: 838 was in service today in routes 4/5/6 livery. Reading Transport Vehicle Types: Page updated to 162 vehicles (129 Reading, 19 Newbury, 14 Goldline) from 175 vehicles (138 Reading, 21 Newbury, 16 Goldline) in October, although a further 8 vehicles (708-13, 961/3) remain for sale. Reading Transport Fleet List: 838 has been repainted into route 4/5/6 livery with 839 and two Woodley branded vehicles to follow. 475/6 are on extended loan to the Green Transport Company and were joined by 473 in exchange for short term loan 708 today. Conversion of 1101 to diesel has been delayed whilst awaiting parts. Thanks to Brian Coney for this. 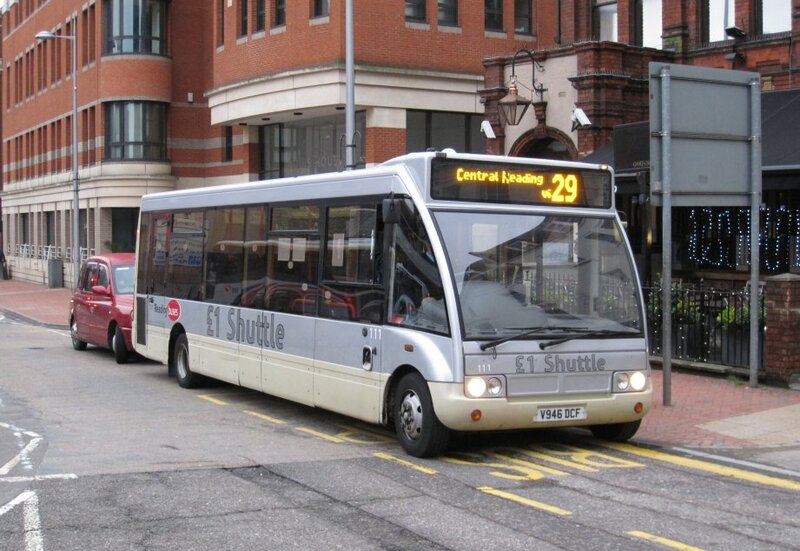 Reading Transport Optare Spectras: 124 re-entered service in Reading on 18th. Thanks to Brian Coney for this. Reading Transport Dennis Tridents: 474 was sold to Beaverbus, Leicestershire. Thanks to Brian Coney for this. 471/2 went to the Green Transport Company on 4th. Oxford Bus Company Fleet List: 103, 104, 119 and 120 are being repainted into Brookesbus livery (from red 103/4 and green 119/20) to cover revised timetables from 25th with increased running time on routes U1 and U5 and permanent peak U1 duplicates from Gipsy Lane and Wheatley. Further additions from Brighton & Hove are 790/1 R220/322 HCD. 641/3 have been withdrawn and sold to Dews Coaches, Cambridge. 640/2 appear to be in use as replacements for 908/9 which are now in use on Park and Ride services replacing 119/20. 790/1 replace 103/4. Oxford Bus Company Fleet List: Like 640, 642 has lost Brookesbus Q buster branding and is also in use on normal services. Thanks to Ralph Adams for this. Stagecoach in Oxfordshire Fleet List: 22918 has a new MegaRear for Ock Street Dental Practise. Thanks to Chris Maxfield for this. 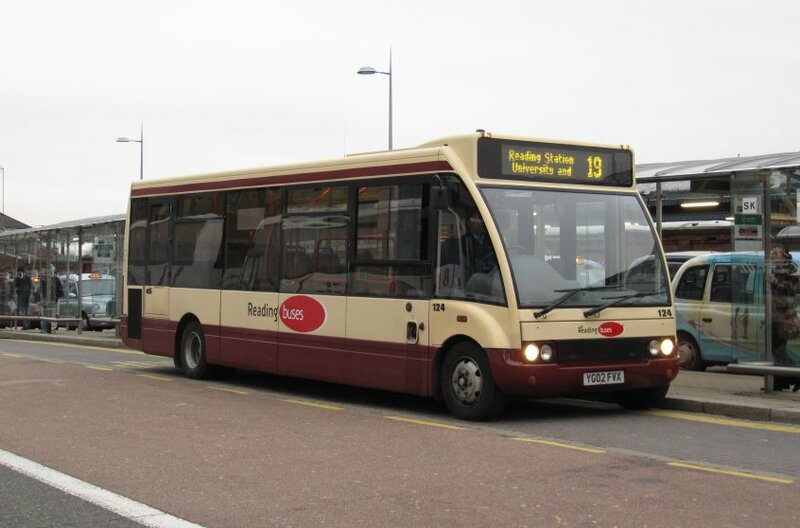 Reading Transport Fleet List: 124 has transferred to Reading and been repainted into maroon/cream. It was the last vehicle to wear the short lived green/cream Newbury Buses livery. Stagecoach in Oxfordshire Fleet List: 18133 has now lost all branding for routes S1/S2, in addition to the MegaRear. Report from 16th corrected. Thanks to Chris Maxfield for this. 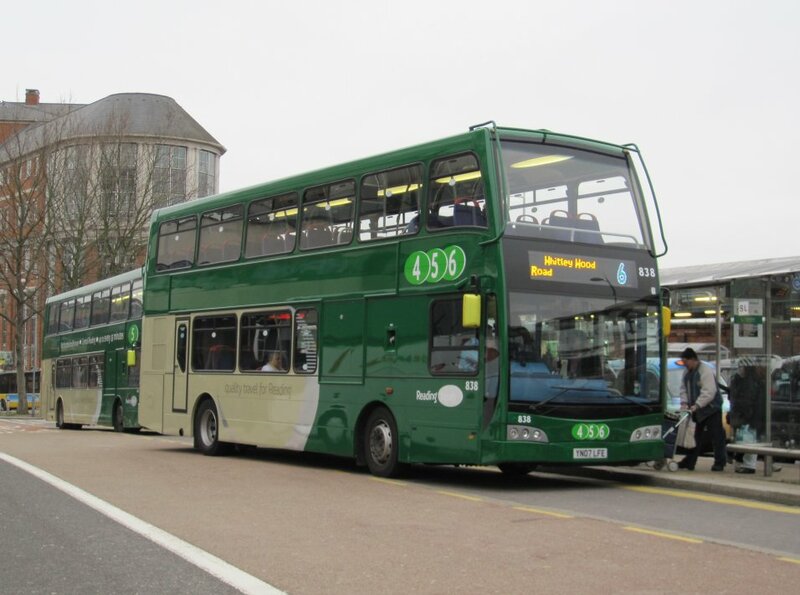 Reading Transport Fleet List: 471/2 are confirmed sales to The Green Bus, with 471 already repainted into fleet livery. Thanks to Tony Hunter for this. 708-13 have been advertised for sale, with just one Trident remaining suggesting that 475/6 may remain at The Green Bus. Reading Transport Optare Spectras: 708 has gone on loan to The Green Bus, Birmingham. Thanks to Tony Hunter for this. Courtney Coaches Fleet List: Two Optare Tempos are on order according to the Trade Press. Thanks to Derek Bradfield for this. Stagecoach in Oxfordshire Fleet List: 22922 is the fifth MAN with a new MegaRear for Raphels (Men's Clothing variant). 22927 has the "Watches" variant. Thanks to Chris Maxfield for this. Stagecoach in Warwickshire Fleet List: 33351-6 have transferred from Stratford to Leamington in exchange for 47010-4 and 47354 as planned. 16600 has also transferred from Leamington to Stratford and Leamington 47510 has gone into reserve. Reading Transport Optare Spectras: 711 went on loan to The Green Bus, Birmingham on 9th, but returned on tow on 11th with a faulty gearbox. Stewarts of Mortimer Fleet List: New on 11th was Mercedes-Benz / Plaxton Cheetah YN59 BKO. Thanks to Derek Bradfield for this. 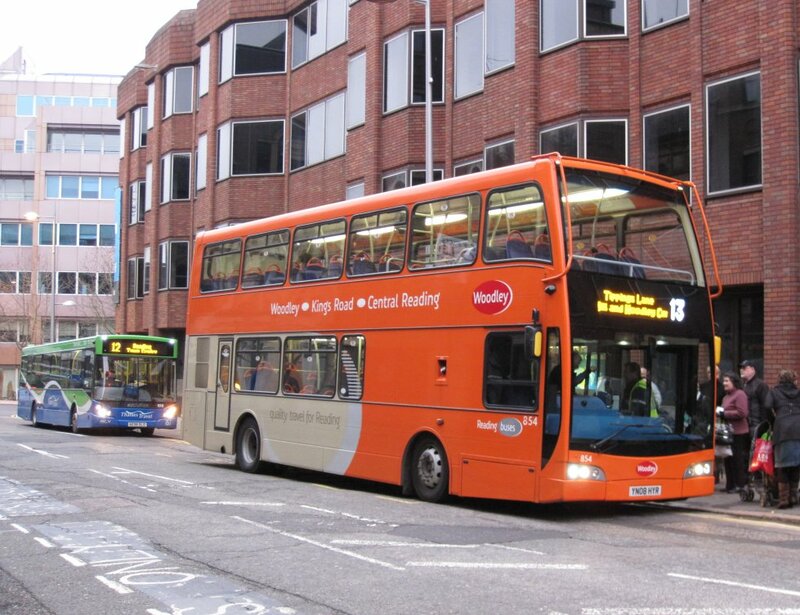 Reading Transport Fleet List: 471/2 arrived at The Green Bus, Birmingham by 4th. Thanks to Tony Hunter for this. It is thought that these are sales rather than loans. Reading Transport MCW Metrobuses: Former 460 is being scrapped by The Green Bus, Birmingham following an accident on 18th December. Thanks to Tony Hunter for this. First Berkshire Fleet List: 43918 is named Mercury. Thanks to Bob Smith for this. Stagecoach in Oxfordshire Fleet List: 22925 is the fourth of five to be confirmed with a new MegaRear for Raphels (Men's Clothing variant). Thanks to Malcolm Crowe for this. 22924 has a "Watches" variant, the variant on 22927 isn't confirmed, and 22929 has the "Men's Clothing" variant. It looks likely that the fifth rear is on 22928.